Here is the follow-up post on the IFR by Steve Kirsch. The first can be read here. This is long (loooong), but it really says it all. Steve worked on a tonne of revisions to this piece before finally submitting this to HuffPo. It has been checked and confirmed by a bunch of the key IFR scientists. If you really want to know the real situation of the IFR story, and where it currently stands, take a deep breath, and read this! Do you think our country’s energy policy is in good hands now that the American Clean Energy and Security (ACES) climate bill has passed the House? I’m very worried and I think you should be too. Experts fret about balancing energy, environment, and the economy. But there is a way to have all three at the same time if we are willing to take a fresh look at an old technology. And that great solution is nowhere to be found in the ACES bill. First, let’s start by assuming science of global warming is correct. We’ll see later that we’d want to do exactly the same thing even if we didn’t believe in global warming at all. Dr. James Hansen, one of our nation’s leading experts on global warming, is very clear about the necessary attributes of any solution: we must stop building new coal plants immediately and start retiring existing coal plants worldwide. If we cannot virtually eliminate coalworldwide within a couple of decades, then the sum total of all of our other efforts to reduce our carbon footprint will be like rearranging deck chairs on the Titanic. The “worldwide” requirement is critical. The best way, and for all practical purposes, probably the only way, to get other countries to abandon coal is to give them a seemingly magical new technology that is lower cost than coal, with the same 24×7 baseline power reliability, but without the CO2 emissions. Existing coal plants could be “upgraded” simply by replacing the “burner” with a the new technology. The good news is we have such a magical power technology. The big surprise is that it isn’t new. It’s old. It is a fast nuclear reactor known as the Integral Fast Reactor (IFR) that was developed by a team of hundreds of scientists working for more than 20 years at our top government national laboratory for nuclear energy (Argonne National Laboratory, at its branches in Illinois and Idaho). The bad news is that the IFR development was abruptly canceled in its final stages in 1994. A decision was made in the early weeks of the Clinton administration by people who formerly worked for the oil and natural gas industry to cancel the project. The three reasons publicly given for canceling the program were all based on misconceptions. Since then we haven’t done a damn thing to exploit their marvelous invention. The convenient solution invented at Argonne is simple: instead of spending billions to dispose of our nuclear waste, we can re-use that “waste” to generate power by using advanced “fourth generation” nuclear power technology. Using just our existing nuclear waste, we can power the entire planet for centuries. Did you know that our uranium waste is our nation’s #1 energy resource? In fact, just in the depleted uranium (DU) waste alone (the stuff left over after natural uranium has been enriched), we have more than 10 times the extractable energy than we have from coal in the ground! Using fast reactors (a type of fourth generation nuclear), we can make use of this “waste” and extract enough energy to power the entire planet (at the current usage rate) for 700 years. Yet the Department of Energy (DOE), due to an admitted lack of funds to properly study the problem, currently plans to spend $428 million to permanently get rid of the DU. Such an action would be as nonsensical as Saudi Arabia suddenly deciding to pay someone to destroy all their oil reserves! Hopefully, someone at DOE will stop this from happening. It is directly contrary to the recommendation of a National Academy of Sciences committee (specifically requested by the DOE in 1991 to study this issue) that fuel retrievability should be extended to a reasonable time (on the order of 100 years) to avoid foreclosing alternative fuel strategies that may be in the national interest. Fast reactor nuclear power designs, such as the IFR, are more than 100 times more efficient than our existing light water nuclear reactors (LWRs). The waste they produce is minimal, short-lived, and relatively easy to safely store: a factor of 500 less in space-time requirements than the waste from our existing nuclear reactors. If an American used nuclear power their entire life, they would produce enough nuclear waste to fill a soda can. The IFR is inherently safer than existing reactors: they can’t melt down because the laws of physics prevent it. They are also objectively more resistant to use in weapons proliferation than existing reactors and also substantially more proliferation resistant than the far more expensive alternatives that we have already decided are perfectly safe (such as the $10 billion we are currently spending on the AREVA MOX plant in South Carolina). These [safety] effects are not theoretical or subject to informed challenge. They have been proven by full-scale experiments in the assemblage of fast reactor test facilities in Idaho by Argonne National Laboratory. The ultimate point is that no radioactivity will be released. Period. Under any circumstance. And under even very, very unlikely circumstances which would lead to a mess in other reactors, the IFR will not even incur damage. IFRs also meet the four requirements (transparency, security, waste, and proliferation) that President Obama recently laid out as a pre-requisite for using nuclear energy. Till pointed this out four years ago. Even though the initial capital costs of these plants are high, over the 60 year lifetime of the plants, they are a small fraction of the cost of generating power from renewables. Russia, China, and India are building fast nuclear reactors now and the French plan to begin construction in 2012 with completion by 2020. 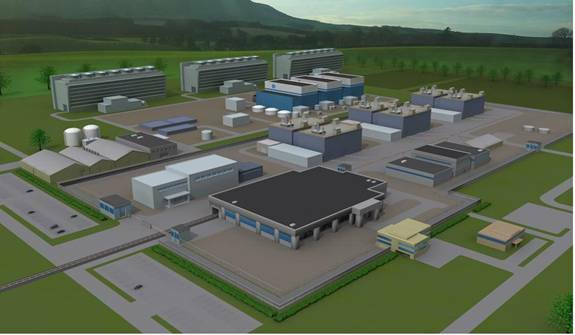 Japan plans to build a prototype fast reactor by 2025. Russians scientists independently found the same thing the scientists at Argonne have been saying for years: these plants are safer and less expensive to build and operate than existing nuclear plants and they solve the nuclear waste problem while providing a virtually inexhaustible power source. The Russians also realized a key point that the 2003 MIT report on the Future of Nuclear Power had missed: that if nuclear power grows faster than people think, large scale deployment of fast reactors will absolutely be required in as little as 25 years from now (see the first paragraph of BN-800 as a New Stage in the Development of Fast Sodium-Cooled Reactors). Dr. Hansen and scientists at MIT are urging Obama to build fast reactors now. House Members Jerry McNerney (D-CA) and Judy Biggert (R-IL) agree. But what about Al Gore? The environmental groups? What do they think? The problem is that there is so much misinformation in the nuclear space and the science is so complicated that it takes a reasonably large investment of time to really understand what is going on so you can sort truth from fiction. Al Gore has looked at fast reactors, but hasn’t taken a position on the issue and it’s likely he never will. The top environmental groups have either been too busy to be briefed, have no nuclear expert on staff qualified to be briefed, or have already taken an anti-nuclear position before the briefing and have no interest in impartially weighing the facts. At the most recent Aspen Institute Energy Forum held March 25-28, the experts talked about how difficult tackling all three issues together: environment, economy, energy. Sure, I agree. It’s difficult to impossible without the IFR. But the IFR enables us to solve all three simultaneously. But it wasn’t brought up by anyone, even though the attendees acknowledged nuclear had to be part of the solution. This is a big problem that the “big thinker” experts assembled at Aspen seemed to be completely unaware of the world’s best nuclear design. Ray Hunter was Deputy Director of the Office of Nuclear Energy, Science and Technology in the U.S. DOE. At the time of his retirement in 1998, he was the most knowledgeable senior person in the government on civilian reactor research and development. He spent more than 29 years in DOE and predecessor agencies working on developing advanced nuclear reactors for civilian nuclear power applications. He’s seen it all. He’s heard all the arguments from every side multiple times. His conclusions are the same as Hansen; he thinks it is a huge mistake that we are not pursuing the IFR technology we invented at Argonne. On December 23, 2008, Hunter wrote a letter to Senators Reid, McCain, Bingaman, and Mikulski explaining that before his retirement, he was the Director of the Office of Nuclear Energy at DOE and pointing out that “the energy content contained in LWR spent fuel and depleted uranium resulting from weapons production and enriched LWR new fuel production exceeds all the known oil reserves in the world.” He pointed out that we have the technology to safely and securely harness that power and eliminate our nuclear waste at the same time. Hunter received no response to his letter; Senator Mikulski’s office thanked him for sharing his thoughts but did not respond to any of his comments. But I don’t blame these Senators at all. It’s unlikely that any US Senator ever saw Hunter’s letter; in each case, a staff person decided that his thoughts were not significant enough to bring to their Senator’s attention. I recently wrote to the DOE offering to have the scientists who were directly involved in the IFR brief Secretary of Energy Chu on our most important source of energy. I received this email response from the DOE that a briefing was unnecessary as there are many people in DOE who are knowledgable about the IFR and that “the IFR definitely lives on.” I said if that was true, then how it is possible that DOE wants to dispose of all the fuel that could be used to power these reactors? I received no response to my question. The main reason that nuclear energy development is so screwed up in DOE is that critical elements e.g. nonproliferation, waste, and nuclear R&D are in separate organizations all reporting to the Secretary. It requires real head knocking to integrate the pieces to have a rational program and there is no one in DOE sufficiently interested in nuclear to perform this task. The problem is made worse by individual budgets requested and approved by Congress. In addition, the waste issue encompasses both civilian and defense waste. For example the depleted uranium stored as uranium hexafluoride at Portsmith, Ohio; Paducah, Kentucky; and Qak Ridge, Tennessee is a result of enrichment for weapons and naval reactors, enrichment for LWR commercial reactors and enrichment for DOE and University test reactors. The nuclear energy program should have requested funds to retain all of the material in a safe store condition as a future resource as you suggested. Since the material is under the waste program, funding was requested from Congress to dispose of it. My guess is there wasn’t any internal discussion on this matter. You might note from my resume that I had the assignment to address safety concerns about storage of the depleted uranium and an action planned was initiated to correct deficiencies and retain the material for possible future use. Steve, I don’t know who you talked to or sent a letter to at DOE regarding the IFR, but the response you got is baloney. Sadly, many people now at DOE are content to not make any waves. They just do what they are told. I was there at the birth of the IFR, in late 1983, and still there at the cancellation in 1994.My main beat was demonstration of the pyroprocess fuel cycle, which morphed into “EBR-II fuel treatment” post-1994. I was on the U. Chicago bid team which competed for the INL contract in 2004.When BEA wonthe contractand assumed command of the entire Idaho site in early 2005, ANL-W went away and was absorbed into INL.To this day most of the ANL-W people, and I think ALL of the key people who haven’t retired or gone on, are very disenchanted with the inability to get much work done in the DOE environment. I could only take it as an INL employee for nine months. When, on a Friday in November 2005 the Vice-President for Research at Idaho State U. said “Mike, you ought to just end this. Come on over to ISU full time”. I said I’d be there the following Monday. 33 years, and I resigned inan hour.It couldn’t have worked out better for me. I’m able to close out my career working with young budding nuclear engineers andbuilding research programs. You asked about when the disenchantment began. I’d say around 1990. I think it was about then that the FBI rolled into Rocky Flats. Adm. James Watkins (retired, then DOE Secretary) became convinced that there was an inadequate “safety culture” in DOE facilities, and thus were spawned “Tiger Teams”– composed of literally dozens of consultants who would descend on a major facility for two weeks. Months of preparations went into their much-feared visit. But that was only the tip of the iceberg. All sorts of new DOE orders related to safety, environment, and QA began to appear. The workplace became so highly proceduralized that it was increasingly difficult to get anything done. So in my first 20 years or so, being on the Till team meant you were working on important things, and the work was getting done, and the results were exciting. The conception of the IFR in the days following cancellation of the Clinch River Breeder Reactor project, the birth or more accurately the rebirth of the pyroprocess, the EBR-II safety tests in 1986 — damn those were heady days. Why are other countries pursuing our invention while we aren’t even talking about it? We seem to be pretty good at spreading misinformation and hanging on to old preconceptions especially when it relates to nuclear. When we look at things objectively, we get the right answer. When DOE adequately funds a study, they do great work (it’s when they don’t adequately fund a study like the DU disposal study cited above that they have problems). In 2001, as part of the Generation IV roadmap, the DOE tasked a 242 person team of scientists from DOE, UC Berkeley, MIT, Stanford, ANL, LLNL, Toshiba, Westinghouse, Duke, EPRI, and many other institutions to evaluate 19 of the best reactor designs on 27 different criteria. They spent a year doing this. So this wasn’t just “a” study. This was the mother of all nuclear studies; the most comprehensive comparison of nuclear designs ever done. The IFR ranked #1 in their study which was released April 9, 2002. A POUND OF URANIUM (ABOUT THE VOLUME OFA TENNIS BALL) CONTAINS THE ENERGY EQUIVALENT TO ABOUT 5,000 BARRELS OF OIL! And we have about a MILLION TONS OF URANIUM in storage (as waste), from which we have only extracted about 1% of the contained energy. We understand what must be done to extract that remaining energy, but we quit trying to learn and demonstrate how to do it in an acceptable manner. We need to reinitiate the program that we started more than 60 years ago. It will require a the support and leadership of the Government. We do not even have an operational Fast Reactor in our Country now. The Government shut-down the two which we had. People from other countries who have looked at the facts objectively came to the same conclusion Russia, India, France, China, Japan, and South Korea did. Prominent Australian climate scientist Barry Brook admitted that he spent months educating himself on fourth generation nuclear before he came to the same conclusion Hansen did. In fact, before Brook heard about fourth generation nuclear, he thought the global warming problem was intractable because his own calculations confirmed the observations of many others (including Energy Secretary Steven Chu, MIT President Susan Hockfield and US Senator Lamar Alexander) regarding the necessity of nuclear power due to the problems with renewables being able to scale to meet our energy needs. With fourth generation nuclear in the mix, Brook has gone from being a climate pessimist to being an optimist about our ability to replace our existing energy sources with carbon-free power. He’s written extensively about the IFR on his site, more so than any climate scientist on the planet. Just a month ago I had a Damascene conversion: the Green case against nuclear power is based largely on myth and dogma. My tipping point came when I discovered just how much nuclear power has changed since I first set my mind against it. Prescription for the Planet, a new book by the American writer Tom Blees, opened my eyes to fourth-generation “fast-breeder” reactors, which use fuel much more efficiently than the old-style reactors, produce shorter-lived waste and can also be designed to be “walk-away safe”. Lynas wrote how he was criticized by his peers for supporting nuclear, but privately some of them admitted that they agreed with him. In our own country, GE-Hitachi Nuclear Energy and a consortium of America’s major corporations (including Babcock & Wilcox, Bechtel, Westinghouse, and Raytheon) came to the same conclusion. They have a reactor design, the PRISM, that is ready to be built based on the original Argonne IFR design. There is a tremendous amount of misinformation about nuclear out there. There are books and papers galore that appear to be credible citing all the reasons nuclear is a bad idea. I could probably spend the rest of my life investigating them all. Those reports that have been brought to my attention I’ve looked into and, after a fair amount of effort, found them not to be persuasive. Did you know that there is more than 100 times more radiation from a typical coal plant than a nuclear plant, yet the nuclear plant is perceived by the public to be a radiation hazard. Another example of misinformation is in Discover magazine June 2009 entitled “New Tech Could Make Nuclear the Best Weapon Against Climate Change” talking about the importance of the IFR to both greenhouse gas emissions and to our future energy needs. But the article implies the scientists want to do more studies and that an improved design will take 10 to 20 years. I keep in close touch with a number of the top scientists who worked on the IFR, including IFR inventor Charles Till, and they are saying the opposite…that we are 20 yearslate on building one and the sooner we build one, the better. We should be exploring all viable options to solve our energy problems and global warming. General Electric working with Argonne and/or Idaho National Laboratory (INL) could build a small prototype fourth generation nuclear reactor (311 megawatts of electricity (MWe)) for about $2 billion and $1 billion for a pilot commercial-scale pyroprocessing plant to recycle the spent fuel. That $3 billion one-time investment would settle once and for all whether this is a good idea or not. Following this demonstration, the deployment of dozens of commercial fast reactors and pyroprocessing facilities needed to handle the light water reactor (LWR) spent fuel could be economically competitive as electricity generators and their construction could be carried out by the industry using standardized, modular, factory built designs to reduce costs without any further government investment. Compare that one-time R&D investment to the estimated $96 billion cost of storing the waste at Yucca Mountain. Isn’t it smarter to spend a little money to prove we can recycle our waste and generate power than to spend $100 billion to bury it? Compare this one-time $3 billion investment to the $10 billion that will be spent on the AREVA Mixed Oxide (MOX) plant, which is being built to dispose of only 33 tons of plutonium. The MOX plant is a big waste of money. The IFR could denature the weapons Pu much faster and more cheaply. Obama and Energy Secretary Chu have both pointed out that nuclear provides 70% of the carbon-free power in America even though we haven’t built a new nuclear plant in the US in 30 years! Yet in the latest House energy bill (HR 2454), in over 932 pages of text, the word “nuclear” appears only twice: once in a definition of “retail supplier’s base amount” on page 23, and once on page 351 where nuclear plants qualify for monetary awards if they use innovative means to recover any thermal energy. That’s it. After the bill was drafted, Lisa Price, senior vice president of GE-Hitachi testified before the House Science and Technology committee on June 18, 2009 about the benefits of IFRs. The bill hasn’t changed. Today’s nuclear designs are substantially better than the reactors built 30 years ago. For example, the new Babcox and Wilcox mPower reactor can be constructed in only 3 years, is scalable (it can produce as little as 125 megawatts making it economical for smaller regions), air-cooled (so the water needs are minimal), and it can store its waste underground for 60 years. 1. If you’re going to build new nuclear plants, IFRs are superior to LWRs in every dimension. Experts I’ve talked to agree that nuclear has to be an important part of the energy mix going forward. It’s hard to argue this isn’t the case since even 30 years after the time we built our last nuclear plant, nuclear is still supplying 70% of the clean power in the US. Fourth generation reactors such as the IFR are simply a “better” nuclear in every respect: lower cost, more efficient, less waste, all the waste is short-lived, inherently safer (it doesn’t need any active safety systems since the laws of physics shut it down if something goes wrong), and the nuclear material is unsuitable for use in weapons so it is inherently more proliferation resistant. That’s why the IFR ranked #1 in the DOE’s comprehensive study of alternative nuclear reactor designs. 2. IFRs are the safest, most cost-effective solution to our nuclear waste problem. IFRs can efficiently consume the waste we’ve already generated from existing light water reactors so they are simply a cleaner, safer, and more cost-effective solution to “dispose” of our nuclear waste than any of the alternatives that have been proposed. Rather than trying to secure that waste for 10,000 years, IFRs reuse it and eliminate all the long-lived nuclear waste. The head of civilian nuclear at DOE spent years trying to get the DOE to do the right thing and failed for political reasons. 3. In order to wean other countries off of coal, you must offer them a technology that is more attractive than coal or they aren’t going to switch.The IFR technology can achieve that. Renewables can’t (which is why Germany is still building coal plants even though they want to get rid of their CO2 emissions). China and India will experience tremendous energy growth and only the huge energy potential of IFRs are a realistic alternative to coal. 4. Even long-time vocal critics of nuclear power such as Amory Lovins agree that investing in the IFR now as a “contingency plan” in case renewables and/or carbon capture and sequestration don’t work out is sound public policy. Even ardent believers in renewables concede that we cannot take anything, including nuclear, off the table. 5. The IFR (called the PRISM) has already been Authorized to Build by Congress in the 1992 Energy Policy Act. GE-Hitachi has had a design ready to build for years (the S-PRISM). 6. IFR power is virtually inexhaustible and more reliable and predictable than renewable power. IFRs can supply humanity’s energy needs for millions of years if we are willing to mine additional uranium beyond what we already have on hand (which is sufficient for the next 700 years). Winds can change and die down. For example, a new report says that because of climate change, wind speeds are diminishing across parts of the United States, including a 10 percent drop in the Midwest over the last decade. The number of low or no wind days also has been increasing, according to the report by a team of scientists at Indiana and Iowa State universities. During the California heat wave and blackouts of 2006, wind’s output dropped to 4% of rated capacity during peak demand – so effectively required 100% fossil or nuclear backup. Solar can be obscured by air pollution (such as theAtmospheric Brown Cloud that grows bigger every day and is “dramatically” reducing sunlight in many Chinese cities). Hydro power can be diverted or dry up. But nuclear just keeps humming 24×7 for millions of years with no emissions. If you want a nice contingency plan for when renewables fail, nuclear is it. It isn’t dependent on any external factors. To ignore nuclear as an important part of the energy mix would be irresponsible public policy. 7. Nuclear power is cheaper than power from renewables and soon will be cheaper than coal. A nuclear plant costs more up-front to build than a wind or solar plant, and they take longer to build, but they have low operating costs and they last 60 years or more making them a far better financial investment than renewable power typically by a factor of 2. For example, if you use this calculator to compare an AP1000 to GE 2.5 MW XL wind turbines with pumped storage for load management, in North Dakota you get $13 billion/GW for the wind option vs. a max cited figure for a US AP1000 (a new nuclear reactor from Westinghouse) of $7 billion. If the AP1000 lives up to its promises of $1000 per KW construction cost and 3 year construction time, it will provide cheaper electricity than any other fossil fuel based generating facility, including Australian coal power, even with no sequestration charges. 8. The heat from IFRs can be used to reprocess transportation fuel practically for free. The IFR gives us more options for ending our oil addiction. If we move to boron-powered cars, the fuel can be recycled in a IFR for nearly free, since the high temperatures are already there. You can’t do that with a renewable plant. 9. Existing coal plants can be economically converted into clean nuclear plants. No country has to abandon the huge investment they’ve made in coal plants. As Felix Salmon pointed out in his blog “Nuclear Power: Going Fast,” you’d just replace the burner and the control room. This makes the economics irresistible even if you don’t give a damn about global warming. 10. To reduce the concerns about proliferation, the plants could be jointly owned and operated securely by the US and the host country. Or we can just restrict the technology to countries who already have nuclear power. However, there have been 0 people killed since the dawn of time due to nuclear proliferation from a power plant. An IFR would be the last place you’d go to get material for building a weapon because you’d have to invent technology that doesn’t exist to purify the material to make it suitable for a weapon. 12. The amount of waste generated in an IFR is minimal; all the reprocessing is done on-site. With reprocessing, if an American used nuclear power their entire life, they would produce enough nuclear waste to fill a soda can. Recently, Senator Barbara Boxer laid out six principles for fighting global warming that are “simple, but extremely important.” Number one on Boxer’s list is: “Listen to scientists, not ideology.” That’s a great principle and we should all be paying attention. Nuclear energy is our largest carbon-free power source today. We have one US national laboratory that is run by the US DOE whose primary mission is to “ensure the nation’s energy security with safe, competitive, and sustainable energy systems:” Idaho National Laboratory. So why aren’t we heeding Senator Boxer’s advice and paying attention to what those scientists have accomplished and listening to what they are telling us today? If for some reason we shouldn’t listen to ANL, then shouldn’t we listen to the 242 scientists from all over the country that DOE asked to evaluate which was the best nuclear technology? Finally, the main reason we are in this crisis situation today is due to our government’s lack of a long term vision and strategy with respect to global warming. So we need to be sure not to make the same mistake again. The good news is that key members of Congress realize that this isn’t just a local problem. To stabilize the climate, we basically have to completely eliminate the emissions from every coal plant on the planet and we don’t have a lot of time to accomplish that. The bad news is their plan to achieve that goal has virtually no chance of success. Would you bet your planet on our current strategy? Here’s their plan: we are going to invest in carbon capture and sequestration (CCS) to see if we can make it work at scale, make it reliable, commercialize it, then export it to other countries who will adopt it for all their coal plants. In short, they are banking the future of humanity on exporting a technology that doesn’t yet exist at scale, that may never exist, that even if it exists would likely be extremely hard to implement reliably, that nobody really wants (since it is only for the environment), that would be easy to cheat, that would probably raise the price of electricity to be unaffordably high, and that can be economically added only to coal plants that were originally constructed with CCS in mind of which there are none. Holy cow… that’s a lot of assumptions. Is that our official core strategy to save the planet??!?!?! I wouldn’t want to bet my planet on that strategy and I don’t think you should either. Fortunately, there is a smarter long-term strategy for getting everyone on the planet off of coal and it doesn’t rely on goodwill, mandates, and/or trade policy coercion. It relies on pure economics. My plan is simple: make IFR technology so cheap that running a coal plant will be the dumb economic decision. I’d start by focusing my resources on my most promising technology. So I’d invest in commercializing our IFR technology that we invented 25 years ago. I’d do that immediately while the people who worked on the original project are still alive. This would have a side benefit in that it would give the people in our national labs a fantastic project to work on: a project that is both important to the world and scientifically challenging, much like the 1960’s space program that put man on the moon. Once a few plants have been built, I’d invest lots of money to figure out ways to lower the construction costs through modularization and mass production. Then I’d have the US (in partnership with other countries we want to share the wealth with) finance construction of the plants in foreign countries, and make partnerships with the local government to jointly build and operate the plants so they would benefit too. In short, we could be the power supplier to the world if we are aggressive in investment and capturing market share. My plan would displace existing coal plants because it would provide power at a cheaper cost than coal. It would be the equivalent of Wal-Mart moving into town and displacing the higher priced competitors. And of course, it will also eliminate the construction of new coal plants. Coal gets wiped out because a cheaper, more reliable, cleaner, and safer technology made it obsolete. There is one more thing I’d do. Instead of subsidizing the fossil fuel industry, I’d spend that money on commercializing technologies like using boron as a transportation fuel. The heat produced by IFRs can be used to reprocess boron used to fuel transportation at virtually no incremental cost. Using boron as a transportation fuel would take up as much space and weight as gasoline, but it’s a completely recyclable, clean fuel (more precisely an energy carrier) with no emissions. The price per “gas gallon equivalent” would be a tiny fraction of the price of gasoline. So we’d clean up the air, eliminate greenhouse gas emissions, save money on every tank of “gas,” and eliminate our dependence on foreign oil. You can’t do that if you are building networks of renewable plants. By investing in IFRs, you have more options for future transportation fuels that can be used either as the sole fuel, or as the fuel in a boron-electric hybrid vehicle. While we’re doing the R&D for boron engines we can convert existing internal combustion engines to run on ammonia, which has already been done. Ammonia in this case would work as a hydrogen carrier, the hydrogen being easily produced by electrolysis powered by IFRs and then made into ammonia (NH3) with nitrogen from the air. Ultimately boron would be a better energy carrier because of its lack of volatility, solid form, and energy density, but if we want to get off oil ASAP, ammonia-powered cars can help get us there faster. These engines have already been built. 7. we’d wean ourselves off of gasoline onto a re-usable energy carrier (boron) that has no emissions that costs only 50 cents a gallon (see p. 146 of Prescription for the Planet). No more having to drill for oil. The benefits to the world are huge in terms of CO2 reduction and air quality. It also solves the nuclear waste problem of other countries which, if left unchecked, could turn into a very messy situation. The host country benefits too: they get cheaper power, they can prematurely retire their coal plants, and they get to clean up their air. Everyone wins. And nobody has to debate whether global warming is a problem or not. Everything is justified on pure economics. What’s wrong with that? Apparently nothing. We know that the Russians are, in fact, planning to do precisely the plan I laid out. They aren’t stupid. We shouldn’t be either. Under my IFR strategy, after a small government investment and a willingness to allow these plants to be built, you could simply let economics take over. No Congressional mandates are required. Not that we can get such mandates anyway. For example, the renewable energy use requirements in the energy bills in both the House and Senate have been watered down so much in order to attract votes as to be meaningless (requiring virtually no change from the status quo). Unfortunately, science, facts, and logic are simply no match for special interest money, perception, bias, misinformation, and beliefs. So I can have all the facts and all the most informed and smartest experts on my side like Hansen and Hunter and all the objective analysis like that two year DOE study showing the IFR was the best nuclear design, but that may not be enough. Senator Lamar Alexander gets it. He is trying to revive nuclear energy in Congress. I hope he is wildly successful. There are so many benefits to reviving the IFR: global warming, low cost energy, climate change, nuclear waste disposal, powering clean, low-cost transportation, and so on. You could justify it on any single benefit alone. At $3B to build a demonstration plant, it’s a cheap insurance policy in case the official strategies don’t pan out. That’s pretty hard to argue against, especially when the stakes are planetary in scope. Nuclear has to be an important part of the energy mix. Even the biggest proponents of renewables have conceded that point. The IFR is the best nuclear. The 2002 DOE study by 242 nuclear experts from all over the country selected by the DOE was quite comprehensive and definitive on that point. Since nuclear is still our largest CO2-free power source (even after 30 years of not building a nuclear plant), I remain totally baffled why Congress isn’t allocating the $3B to build a demonstration IFR plant. When I make my 2 point argument and ask that question, I am greeted with “I’ll check that out with my staff” and then you never hear from them again. When you try to arrange a briefing with the staff, they are too busy to meet with you (or in the case of Waxman-Markey’s staff, couldn’t tell me who their nuclear expert was or even who might know who their nuclear expert was). 1. If you’re going to build new nuclear plants, IFRs are superior to LWRs in every dimension. 7. Nuclear power is cheaper than power from renewables and soon will be cheaper than coal. (using figures from AP1000). If the AP1000 lives up to its promises of $1000 per KW construction cost and 3 year construction time, it will provide cheaper electricity than any other fossil fuel…..
this doesn’t match with Florida Powers estimates of 16Billion for two 1GW reactors. Need some explanation of a x8 fold difference! First greenfield site, Hongyanhe started construction 2007 for completion 2012. First AP1000 started construction March 2009( after several years planning) for planned completion Oct 2013. If AP1000’s are so cheap and can be built so quickly why is China only starting construction on 12GW nuclear and building 80GW of coal fired power/year and importing expensive coal from Australia? There are many good reasons to support nuclear and good reasons why more nuclear is not being built at a faster rate than at present. Until one IFR is built and operating we cannot know the costs. Until a new nuclear plant is built in the US it’s difficult to know what the costs are going to be, but it’s clearly higher than $1000/kW. Nuclear power stations will have to be built with variable output so they – like gas and coal plants – can occasionally cut their power when the wind is blowing most strongly. A hybrid approach may have same merit; if wind build time is months then scale that up until IFRs arrive in kits. The overall cost may be higher but it keeps the coal phaseout on track. If wind is installed early then IFRs are installed late the coal burners can be suddenly switched off. I didn’t see any cooling system on the depicted IFR facility. I would argue that Sabatier methane http://wapedia.mobi/en/Sabatier_process is a safer use for nuclear hydrogen than boron or ammonia. For once I agree with Neil: Steve is overselling a product. And it doesn’t need it. For example: why$3 billion? It could be a lot less as there are *already* fast reactors being built or running. GE has it’s own project PRISM which is a fast reactor technology. Neil, what you say about long lead times vs constuction times are true. But they are as true for MANY, indeed ANY form of grid connection. There are wind farms in California that have been “planned” for over 5 years and not a shovel has been sunk. Every country is different in how the approach new builds. What people in China are looking at with the AP1000 is if they can really bring it in for 1.7 billion dollars…which would be *amazing* and *on time/on schedule*. Westinghouse is claiming a 4 years or less build. We will see. The only thing “slowing down” new builds in China are component side of all the reactors, be they Chinese indigenous CPNs or French EPRs. Production of component manufacturing infrastructure is growing at an exponential rate. The Chinese “economic Plans” show this huge ramp up toward 2020 based almost exclusively on world wide component ramp up. As important is training the working force for both building nuclear plants and, the engineering/operating staffs. This is a years long process and the Chinese are already doubling and tripling shifts at current plants just to train people and getting them familiarized with working in a nuke. The key “period” of time is 2013 through 2020 as the first plants will be online and staffed…and then toward the end of that decade to see if the training is paying off, the infrastructure is in fact developing and things are in fact working out as “planned”. After reading through many of the comments at Huff. Post (over 300 now) I’m beginning to despair that IFR will ever get widespread political support. Perhaps IFR supporters should be pushing them as nuclear waste disposal plants that have the added benefit of generating baseload power! I would argue that Sabatier methane http://wapedia.mobi/en/Sabatier_process is a safer use for nuclear hydrogen than boron or ammonia. You would, eh? Methane? Safer? Probably just as well you didn’t. Most of the possible nuclear-driven boron deoxidation processes I’ve looked at do not involve hydrogen. Many of those comments are the same posters telling the same unsubtle lies over and over. They aren’t trying to persuade, they are, like global warming argument-recyclers, trying to discourage. Todays headline “Ontario puts nuclear expansion plans on ice” illustrates that it’s economic issues( price, reliability of builders) not green opposition that is restricting expansion of nuclear in N America. Personally I think it’s unfortunate and short-sighted for Canada to not expand nuclear what ever the costs, because future costs are likely to be higher and this will delay phasing out coal. I don’t think it’s too much of an oversell, but it depends on one’s interpretation of the implied timelines and contributions from different technologies. I also don’t believe – even in the best case – that IFR’s will do much to eliminate existing coal generation. If nuclear has a role to play in that endeavor [and, like a grown number of people around the world, I believe strongly that it will], it will be done with Gen III+ plants whose designs are currently licensed and actively marketed to utilities around the world. While these plants are being brought online, IFR demonstration plants will be developed, compared against other GenIV designs, optimized to produce a marketable plant and subsequently deployed on a larger scale to the extent it is economical to do so – taking into consideration ALL costs and benefits. IFR’s role will be to assure the sustainability of nuclear power’s contribution through the near limitless supply of fuel via the breeding fuel from U238 as well as the final disposition of high activity waste from LWRs. At this point they appear to be the most credible long-term solution. There is no argument that Nuclear is currently the best option towards reducing CO2 levels, however, it should come as no surprise that the “Inconvenient Solution” is conveniently ignored. There is just too much money involved in future of Carbon Credit. I don’t understand your comment about “carbon credit”, won’t nuclear benefit as well as other low carbon energy sources? or do you mean renewable energy credits? This implies that these countries are actually building IFRs (assuming fourth generation = IFR? )…is that correct? Or are they actually building 3rd generation plants that could be stepping stones to IFRs? What I mean is that Carbon Credit markets are too valuable to have something like Nuclear come along and undermine them. Renewable energy just won’t cut it and the world will continue to rely on carbon based energy sources, albeit at a “cost”. Not “carbon free”. Mining and processing are carbon intensive processes at the moment, and although this can be reduced, there is no such thing as emissions free electricity. What’s happening in Canada has little, if anything, to do with economics. They are in the midst of a techno-political fiasco in which AECL – historically a nuclear R&D heavyweight – is being torn apart. The idea that you can simply plug the output of the IFR into existing electricity generating plants is also a strong oversell. First, that would mean that the thermal output of the IFR is exactly the same (flow, temperature, heat content, chemical composition including additives) as that from the coal burner for which the generators have been optimized. NOT BLOODY LIKELY. Second, reactors are ideal for baseload because they work best when working flat out and are not easily powered up and down. As Reuel Shinnar and Francesco Citro pointed out in Science, they match well with solar and wind, which tend to produce at peak times being most available when most needed, during the hot day. If nothing else, smaller, gas turbines could also pick up the slack. It would be stupid to run nuclear plants up and down, stressing everything to design limits including the staff. I have huge problems with the calculator that Steve links to. It says that the equivalent to 1 AP1000 of 1140MW is 7500GW of wind with only a choice of pumped hydro or other expensive ‘load balancers’. Again the modelling that has been done suggests that only 3 or 4 GW of well dispersed wind would be required with 750MW or so of extra peaking power from cheap gas turbines. Also left out is the fact that the AP1000, even if it was equipped to be load following, would need about the same amount of peaking power to supply any normal, real world load. Also I object to this “regarding the necessity of nuclear power due to the problems with renewables being able to scale to meet our energy needs.” because as far as I know there are no problems with renewables being able to scale to meet our energy needs especially if we can meet them halfway. The link provided is to a non peer reviewed document from a non energy specialist that incidently also gives nuclear the thumbs down in the same document. Trainer does not believe ANY energy solution can work and advocates a simpler way. Alas work commitments have prevented me from finishing the critique that I promised however I may be able to pick up where I left off. Suffice to say that Ted has some problems. IFR is a type of 4th gen, but 4th Gen does not imply IFR. It would be perfectly acceptable for sodium-nitrogen heat exchanger to cool an IFR’s sodium while providing hot nitrogen to a formerly coal-fired electric plant’s steam generators. The steam generators won’t mind if their hot gas supply is at the same temperature and pressure as with coal, but is no longer corrosive. Reactors not easily powered down and up? Again, I suspect you are affecting an authority you do not possess, but let’s hear you elaborate. Does powering down and up involve a change in temperature? Why? The wind calculator is a bit of a joke; 750kW turbines in “descent wind locations -mainland Europe , Eastern US, ” some of the poorer wind locations.What about UK, off-shore N Europe, N Dakota, Iowa, Texas, with 1.5 -2.5 MW turbines that are actually being built today. Compressed air storage? What about hydro and pumped hydro that is actually being used very widely. Steven Kirsch should focus on what he is knowledgeable,rather than critiquing technologies in which he appears ignorant.So California had low wind output for 2 days in 2006, but >50% of CA’s wind capacity was in just two locations,hardly comparable to a nation wide grid that’s being built to link hundreds of separate wind locations in 30 states. Not sure which article you are referring to presumably not US unemployment rate? Wrong link? Thats a rather depressing assessment. Do you know how well the issues with the condition of the US grid she describes translate to the Australian infrastructure? Note both Stoneleigh and Barry B are saying only the cheap options will be available in future. I had to double check that Stoneleigh’s article wasn’t April 1st rather than June 1st. Someone from Canada say how renewable energy can never work, Canada gets 60% of its electricity from renewable sources, Manitoba to the West of Ontario and Quebec to the East almost 100% renewable! That’s why Manitoba and Quebec built 1000km HVDC lines from remote sub-arctic hydro (and high wind potential) regions to cities in the south. Many rural areas are served by low voltage single phase lines, and the maximum generation size that can be connected under those circumstances is approximately 100kW. Are any roof top solar panels going to be developing even 10kW let alone 100kW? In much of Europe, where renewable energy penetration is relatively high, the population density is high enough to be served by a three-phase grid composed of relatively short feeders with high loads. Many of the limitations faced by North America simply do not apply in places like Germany, Denmark or the Netherlands. The North American grid has more in common with rural Portugal or the Greek Islands. Apart from Canada and the US having a lot higher renewable energy penetration than Europe, the Eastern and Western distributors are each larger than the entire EU grid.Doesn’t the author know that different AC synchronized regions are interconnected by HVDC links such as Quebec to the NE of US. Comparing the N American grid to a power pole in Brazil is really stretching credibility. Why would anyone take this article as a serious discussion about renewable power? In this province alone, the amount of grid construction required in order to connect our renewable potential with load would cost tens, if not hundreds, of billions of dollars, and it would take decades to build. IT”S ALREADY BEEN DONE! Or, alternatively, perhaps they should have titled it: “Renewable power that isn’t mostly hydropower, biomass burning and volcanic vent geothermal? Not in your lifetime”. Neil, the potential ‘game changers’ or ‘game enders’ for renewables are those resources that are technically* unlimited, which are solar PV, solar thermal, wind, wave (collectively, ‘technosolar’) and hot rock geothermal. The rest aren’t going to grow much beyond its current contribution in most places, so are not particularly relevant to a discussion of energy futures. Which is what that linked post is about. I’m not arguing here for or against the merits of the linked article, but I get annoyed when you consistently conflate technosolar with other renewables. This is certainly my opinion. A mate of mine is always in my ear about cap and trade being the banking houses dream bubble machine, and current nuclear would make a bit of a dint, but IFR or other 4th Gen could floor the carbon price… far too risky an investment. So a 20 year campaign to introduce a price on carbon, combined with a 30 year campaign against nuclear, adds up to a great investment opportunity. It is Stoneleigh who has decided that it only applies to technosolar. As far as I can see the act will encourage the same model used in Denmark, local community ownership of wind hydro biomass and solar. Canada still has a very large hydro potential as does the US, Africa S America and China. Not sure what untapped hydro potential exists in Australia, most assume its fully exploited. As you know I consider nuclear as renewable as wind or solar in the sense that we are not going to run out of thorium or uranium for millions of years. The world doesn’t need unlimited energy resources just X10 todays FF equivalent( about X3 present FF on a MJ basis). Nuclear and hydro can be an important part of that as can wind, geothermal and solar. We could manage without any one resource, but hydro is the most useful. Yes, I know you support nuclear as one of the forms of sustainable energy, and I know that unlimited energy is not needed. My point of disagreement with you (and a couple of previous times) was that saying a province of Canada, or a country like Norway, is ‘100% renewable’ is not particularly helpful in the context of understanding whether it is possible to reach a high penetration of technosolar (e.g. a consistent >30%) without substantial fossil fuel or nuclear backup. Yet this capacity of technosolar to wholly replace fossil fuels (solid and liquid fuels) is ultimately going to be the key issues renewables face in the next few years, most especially for those folks (unlike you or I) who see no role for nuclear, but even for me (unlike you) who cannot countenance a role for ‘natural gas’ that is not generated from recent biological or other processes that do not further contribute to the already overburdened load of greenhouse gases in the atmosphere. For much of the world, only the cheap options are available now. And for the rest, the cheap option is the only one they will buy anyway. So the only way to get off coal is to undercut it and outscale it. Right now I’m 42 floors above a city in an industrial zone in China. There are factories and high rise apartments densely packed for as far as I can see in all directions, which isn’t all that far because of the smog. I drove two hours at 140 km/hr, and didn’t see the end of it. This is what we have to power, and more cheaply than coal. I also happen to be incarcerated in my hotel room by the CDC for a week due to swine flu quarantine, which blows (I’m not sick). Most high temperature Gen IV reactors *can be * configured to run turbines designed for specific steam flows and temperatures. Temperature is almost a non-issue as most Rankine cycle steam turbines run at 1000 F take or add 200 F. So how many IFR (or, LFTR, VHTR, etc etc) modules one uses can be worked out by developing the proper steam generators. The real issue is creating the proper steam flow, especially as all these units, but super critical ones, are reheat units. 1. common grid access, even using the same main transformer banks. 2. massive lay-down yard for components when building. 3. extremely well maintained heavy equipment access to the site via roads, rail and rivers used for bringing in coal. 4. established site licenses for everything from sewage access to hazardous materials handling. 5. a well skilled workforce from which to draw on for operations and maintenance. 6. most auxillary systems in place from fire fighting to storage to offices to control rooms to lubrication oil storage tanks and to auxillary diesels and so on. 7. licenses for use of, and equipment for, turbine cooling. (tunnels, water access, circulating water pumps, condenser, etc). I think these are where the real saving are from coal2nuclear. Hydro is one of these terms that renewable advocates use as if it’s easy to build a dam anywhere one wants. It is isn’t, probably FAR more opposition to dams than nuclear, in the US or Canada. But I agree…Canada can develop more hydro, the U.S. can’t, not significantly. Run-of-the-River hydro is something that needs to be explored and implemented if cheap enough and it could increase US hydro output into the double-digits. By hydro by and large no something, like a wind mill, that you can simply plop down and count it as ‘renewables’. Brazil, Ecuador and Venezuela are big “renewables” electrical economies: 80% and more. Good for them. But even growth in these countries are forcing them to consider building more nuclear, which is happening in Brazil and Venezuela is considering it. That might work in China but in Australia the psychology is different. For example Ausra or its predecessor set up a solar steam generator next to Liddell NSW coal fired power station. My impression is that the locals ridicule it as a toy. I doubt that a coal fired station would be switched over in its prime. On the other hand an ex minemouth power station locality like Wonthaggi Vic is now yuppified and opposing a desal plant. The desert coast between WA and SA provides greenfield sites albeit with new infrastructure needs. There is opposition to all forms of energy, coal, nuclear, hydro, wind, solar. None of these can be sited(plopped down) without consideration of access to resources, transport, planning. Sometimes specific developments will not go ahead because of opposition, but it hasn’t stopped many of these developments in the past. If we reduce carbon emissions by 80% the remaining 20% should be natural gas, rather than beef cattle, deforestation or burning oil or coal. Every country will generate that 80% using a different mix of low carbon energy and some fortunate ones will adequate hydro will be able to generate 100%.It’s not a matter of being forced to use nuclear, 30%nuclear will be the lowest cost option for some, 30%solar may be the best option for others. Why settle for Natural Gas Neil? Why any more fossil. I’m not a ‘big’ advocate of the IFR as Barry is, (vs the LFTR) but even the IFR can effectively eliminate the need for any NG generation. With apologies to Helen and Ian, who I know disagree with me on this issue, I believe the dialogue here represents the sort of scientific public debate we need the courage to have and listen to without hysteria, about whether IFR nuclear solutions should be included in Australia’s energy mix planning for the future. At least that is, unless we all ready to embrace a Heinberg/Holmgren/Hopkins/Cuba, et al, ‘power-down’ or ‘energy decent’ type of future. This is because until the fossil fuel industry allows one of our govts to do the necessary renewable industry scientific technology review and in-depth research, we won’t know for sure whether renewables can deliver all the electricity that our growing population will need – by the time we are forced to stop burning coal. And the latter, I believe, is likely to happen a lot sooner than the coal industry would like or admit to. It’s a matter of economics, not what is technically possible we could overbuild wind. solar, nuclear or greatly expand pumped hydro so that no FF would need to be used and for some countries such as China that don’t have very much NG but are developing good hydro resources that may be the way they go once all coal is replaced. For Australia and Europe and N America NG seems the lowest cost method of providing short term peak power(and is fairly low CO2 producing). We could spend more to eliminate using NG, but it would make more sense to spend the resources on eliminating coal and then re-forestation and improving soil carbon uptake in agriculture. Wind, solar and nuclear are all capital intensive and all indirectly generate CO2 during construction. Overbuilding has environmental costs as well as economic costs. Eventually all NG will be exhausted so yes one day we will not use any FF energy. Neil, we agree on that. Coal is problem No. 1 and 100% of our efforts should focused on eliminated this. My point is that it’s not always say, 1 coal plant shutdown with 1 nuclear one (take your pick of technology). I’ts more of 1MW of capacity of coal shutdown for 1 MW of capacity of nuclear. You get a ‘surplus’ this way since there is a normal 10 to 30% capacity difference between coal and nuclear. I expect, that will a better ‘return’ for nuclear, a lot of gas will be shutdown as well even if our focus is on phasing out coal. And this only if load changing is build it (which it is with the LFTR) and contracts for deployment based on capacity and and not real power produced (thus eliminating the need to run plants flat out). Charles notes that with hot-salt storage being a *function* of any MSR, that storage of hot salt becomes an automatic reservoir for peaking power, thus eliminating much need for gas even as a coal plant is shut down. … The United States will be far safer if it takes a leadership role in helping assure international standards and controls on the nuclear industry. The reason that I bring up this topic again, especially in connection with India and China, is continued over-emphasis on “clean coal”, i.e., carbon capture and sequestration. That technology should be given a chance, but it is doubtful, even if it worked, that India and China will be willing to go to the enormous costs of implementation. On the other hand, they are choking in air pollution. Standardized, replicable nuclear power stations seem a more plausible bet than “clean coal”. I always make clear that energy efficiency and renewable energy should have first priority, and if they can do everything, great. But we would be foolish to take that as a presumption or to remove options for our descendants. It was a mistake to terminate the R&D on 4th generation nuclear power at Argonne Laboratory in 1994, but we still have the best expertise in the world. They deserve much more support, and we should be working in full cooperation with China, India, and other countries…. You had me until this. HOW? Um, by every possible means; that’s an aspiration, if you’ll pardon the pun. You could ask — click the link to Eli’s page. The public health work on aerosol is among the knowledge the West should have been promoting decades ago — if we hadn’t seen China as a great chance to export our own polluting worst practices, they’d be better off and so would we. But now they’re doing what we did writ large and have the same problems we did in our day. It’s time to export what we’re good at. Public health. Workplace organizing. Equal opportunity education. Clean-burning stoves. Catalytic converters. Refineries that actually refine. And yes, Gen4 technology. Without screwing it up by making it the cheapest possible way. C’mon Barry, you’re either pretty biased or ill informed for an academic. Maybe you should spend more time reading and less time writing. The biggest problem is not the uranium in spent nuclear rods. The problem is all the nasty heavy isotopes spanning the periodic table. The same occurs when any material captures enough neutrons- it becomes radioactive. This includes the control rods and any other structures in a nuclear reactors. This makes nuclear reactors very expensive to decommission, FBRs especially so. You seem to have a bit of a blindspot to limitless renewable energy available below the ground, almost everywhere on earth. Why do we need Nuclear when we have Hot Dry Rocks here in Australia?? C’mon ‘dino’, maybe you ought to spend less time insulting people and more time reading. What you’ve written is ill-informed and misrepresentative, takes no account of the half-life of bombarded materials, and ignores standard management procedures for low-level waste. Why not hot dry rocks? I’ve no problem with this technology in principle, but it is a nascent technology that needs to meet many technical challenges before commercialisation and will not be applicable worldwide even if viable. I’m not willing to bet our societies’ future on the chance that this MAY be an important energy source in the future.